This issue follows from the First Spanish Physical Oceanography Meeting held in Barcelona in October 2010. The meeting was a short pause in a long journey, an occasion to consider the path we have followed, the future goals and the best way to attain them. And this issue is, above all, a celebration of the maturity of the Spanish physical oceanography community. 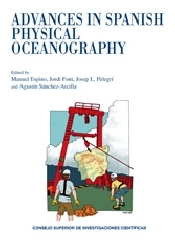 It brings together 19 papers representing many of the research institutions and topics of physical oceanography in Spain. It is a demonstration that our community has greatly increased in quantity and quality, particularly in terms of promising young people, and that the facilities currently available are suitable for continuing along this path. We sincerely thank all the authors, reviewers and institutions that have made this special issue of Scientia Marina possible.